This position reports directly to the Vice President, Administrative Services, and provides administrative support to the Vice President in the administration of the Administrative Services division. This position acts in a highly responsible capacity to the Vice President who is responsible for formulating, determining, and implementing management policies that affect the entire College. The Executive Assistant II directly communicates with all of the Vice President's Direct Reports (8), their Administrative Assistants, Administrative Services' personnel, and key campus stakeholders on behalf of the Vice President. This position represents the Vice President in his/her absence and requires a high level of independent judgement as well as thorough knowledge of divisional/departmental/College activities. This position oversees and provides organizational direction for the office of the Vice President, Administrative Services. The Executive Assistant II oversees the scheduling of the Vice President's activities, maintains a complex calendar and makes travel arrangements, oversees division-wide activities, and coordinates Vice President and division-wide communication. The Executive Assistant II coordinates; reviews and approves the development of monthly Board Agenda items, and works directly with the President's Office, Board of Trustees, and other Cabinet level executive's offices. This position requires interpretation and application of complex policies, procedures, and regulations and involves frequent contact with the public, as well as performing various research and budgetary functions. Under general direction, performs a wide variety of advanced and highly sensitive administrative coordination duties of substantial complexity, including functions related to the administration of the collective bargaining process, requiring thorough knowledge of the assigned division or department, its policies, procedures, and operational details at a level that allows the incumbent to step in for the executive or senior manager to whom assigned in his/her absence; provides administrative support for the assigned executive or division/department manager; composes and prepares highly complex correspondence, reports, databases, and other written materials and documents using a high level of judgment and discretion in content and style; administers several highly complex budgets, contracts, research projects, and/or department programs; prepares complex departmental agenda packets or agenda items for the Board of Trustees or other boards, commissions, and committees, and prepares meeting minutes; serves as the office manager of the assigned division/department and provides complex office coordination and support, including providing direction to other administrative staff and being significantly involved in the recruitment, hiring, and termination process of, scheduling and overseeing the work of, and training student workers; fosters cooperative working relationships among and acts as first point of contact for other District divisions, departments, the President's Office, intergovernmental and regulatory agencies, various public and private groups, and the general public; provides highly responsible and complex assistance to the assigned manager; and performs related work as required. Develops information, analyses and/or proposals that are used in the negotiation of wages, hours and other terms and conditions of employment; and/or formulates and recommends effective bargaining language and strategies and techniques related to a variety of program areas. Receives general direction from an assigned senior or executive manager. Exercises technical and functional direction over and provides training to student workers or hourly workers, and to less experienced administrative support staff, as assigned. This is the highest-level class in the administrative support series. Incumbents perform a wide variety of specialized, complex, and highly sensitive technical and administrative support work for an assigned division or department head and related management, professional, and supervisory staff. Responsibilities require a high level of tact, discretion, and independent judgment, as well as, a thorough knowledge of divisional/departmental and District activities. Incumbents in this classification assist and act in a highly responsible capacity to a division or department head who is responsible for formulating, determining, and implementing management policies that affect the entire District. The work requires the interpretation and application of complex policies, procedures, and regulations and involves frequent contact with the public, as well as performing various research and budgetary support functions. This class is distinguished from other administrative classifications by the higher level of responsibility assumed, the greater complexity of duties assigned, and by the nature, scope, and diversity of responsibilities having District-wide impact that require a broader understanding of District functions and the capability of relieving District management staff of day-to-day office administrative and coordinative duties. This class is further distinguished from the Executive Assistant to the President in that the latter is specifically assigned to the President of Mount San Antonio College. 1. Develops and handles information and materials related to the Districts collective bargaining activities, including spreadsheets, gathering information, correspondence, attending meetings, taking minutes, maintaining and updating memoranda of understanding, etc. in support of labor negotiations, grievance process, and contract administration. 2. Plans, designs, develops, organizes, and oversees multiple complex projects and programs for the assigned manager/division/department; assists in developing goals, objectives, policies, procedures, work standards, and administrative control systems; acts as the liaison between the division, department, the District, and outside agencies and other entities; participates in committees formed for programs and projects; presents committees recommendations to the division/department head. 3. Provides administrative support to the division/department head and managers in performing duties of an advanced, complex, sensitive, and confidential nature; attends management staff meetings, takes minutes, and performs related duties. 4. Coordinates and participates in the preparation of complex department budgets, including gathering and analyzing data related to expenditures and projected charges; monitors budget expenditures and revenues; initiates department purchases for office supplies and other items as assigned; authorizes payment of invoices. 5. Coordinates, oversees, and performs professional-level administrative work in such areas as budget development, purchasing, contract administration, management analysis, project management, and program evaluation. 6. Conducts a variety of basic analytical studies, research, and statistical analyses on administrative and operational problems or issues regarding divisional/departmental activities; evaluates alternatives, makes recommendations, and assists with the implementation of procedural, administrative, and/or operational changes after approval. 7. Performs chief communication function in the absence of supervising administrators, especially related to emergency situations. 8. 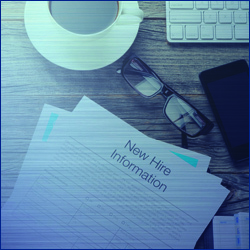 Assists assigned administrator in maintaining confidentiality of critical documents, reports, and information and communicates with executive management in the absence of assigned administrator. 9. Coordinates, plans, and organizes meetings, conferences, and special events across the campus community and/or with external individuals and organizations. 10. Serves as a liaison with employees, public and private organizations, community groups, and other entities; provides information and assistance to staff, faculty, students, and the general public regarding the assigned projects and programs and services; receives and responds to complaints, questions, and issues relating to assigned areas of responsibility; identifies, negotiates, and/or resolves solutions to complaints and problems when appropriate. 11. Prepares and submits complex Board of Trustees agenda reports and various other commission, committee, and staff reports, resolutions, and correspondence regarding assigned activities. 12. Processes and prepares a variety of documents, materials, and records according to established procedures and practices, including timekeeping documents, hire documents, payroll records, personnel files, and faculty evaluations; calculates, inputs, and tracks faculty loads, overload assignments, and lecture hour equivalency; coordinates production of and maintains departments class schedules. 13. Prepares or assists in the preparation of requests for proposals and bids and administers consultant contracts. 14. Maintains accurate records, complex databases, and files; develops storage of records and retention schedules. 15. Assists with and coordinates and organizes special events; provides public relations and outreach programs to the community. 16. Participates in selecting, training, motivating, and evaluating assigned staff; provides staff training; directs the work activities of assigned clerical personnel; prioritizes and coordinates work assignments; reviews work for accuracy; recommends improvements in workflow, procedures, and use of equipment and forms. 17. Oversees and ensures that the office administrative functions and operations of the assigned managers office are effectively carried out. 18. Works directly with the Presidents Office, Board of Trustees, other division and department heads, and the public on a variety of matters. 19. Maintains multiple calendars and coordinates the schedules of the assigned manager, and other division, department, and/or District management and administration; and makes travel arrangements. 20. Schedules and/or coordinates special meetings, seminars, conferences, training sessions, and other functions for assigned division/department staff; acts as meeting secretary including preparing agendas, and taking and transcribing minutes for boards and commissions. 21. Receives and screens visitors, telephone calls, emails, and regular mail; provides information and resolves issues for District staff, other organizations, and the public, which often requires the use of judgment and the interpretation of policies, rules, and procedures. 22. Develops, implements, and maintains division/department policies and procedures, reports, manuals, correspondence, and other materials. 23. Composes, types, edits, and proofreads a variety of complex documents, including forms, memos, reports, statistical reports, newsletter articles, press releases, Board of Trustee agenda items, ordinances, District ordinance/code revisions, promotional/informational materials, website information, and internal and external correspondence for the assigned division/department from rough draft, dictation equipment, handwritten copy, verbal instructions, or from other material using a computer; inputs and retrieves data and text using a computer terminal; uses considerable independent judgment in preparing correspondence and reports pertaining to standard policies. 24. Designs and implements file, index, tracking, and record-keeping systems; researches records within assigned areas of responsibility to prepare reports and provide follow-up information to customer and staff inquiries. 25. May serve as secretary to a board, commission, or special task force; provides a variety of support to District boards, committees, and task forces, including reserving meeting rooms, maintaining access reports, compiling and distributing agenda packets, attending meetings, formatting and distributing minutes, and following-up on decisions as required. 26. Operates standard office equipment, including job-related computer hardware and software applications, facsimile equipment, and multi-line telephones; may operate other department-specific equipment. 27. Learns and applies emerging technologies and, as necessary, to perform duties in an efficient, organized, and timely manner. 1. Organization and function of public agencies, including the role of Board of Trustees and appointed boards and commissions, and the collective bargaining process. 2. Principles, practices, and procedures of public administration in a public agency setting. 3. Project and/or program management, analytical processes, and report preparation techniques; administrative and higher education-related programs such as, but not limited to, purchasing, contract administration, risk management, budgeting, and other related governmental programs. 4. Organizational and management practices as applied to the analysis, evaluation, development, and implementation of programs, policies, and procedures. 5. Basic principles and practices of providing technical and functional direction and training to assigned staff. 6. Research and reporting methods, techniques, and procedures. 7. Basic budgetary polices and procedures. 8. Sources of information related to a broad range of educational and administrative programs, services, and administration. 9. Applicable federal, state, local codes, regulations, and departmental policies, technical processes and procedures, legislative processes. 11. Record keeping principles and procedures. 12. Modern office administrative and secretarial practices and procedures, including the use of standard office equipment. 13. Computer applications related to the work. 14. Business letter writing and the standard format for reports and correspondence. 15. Principles and practices of data collection and report preparation. 16. English usage, spelling, vocabulary, grammar, and punctuation. 17. Techniques for effectively representing the District in contacts with governmental agencies, community groups, various businesses, professional, educational, regulatory, and legislative organizations. 18. Techniques for providing a high level of customer service by effectively dealing with the public, vendors, students, and District staff, including individuals of various ages, disabilities, socio-economic and ethnic groups. 1. Maintain confidentiality and discretion in handling and processing confidential information and data related to the collective bargaining process. 2. Assist in developing and implementing goals, objectives, policies, procedures, work standards, and internal controls for assigned functional areas. 3. Coordinate and oversee departmental and programmatic administrative, project management, and budgeting activities. 4. Perform varied, confidential, and responsible secretarial and office administrative work requiring the use of independent judgment, tact, and discretion. 5. Plan and conduct effective administrative and operational studies. 6. Plan, organize, and carry out assignments from management staff with minimal direction. 7. Interpret, apply, and explain complex federal, state, local laws, codes, regulations, departmental policies, and procedures. 8. Analyze, interpret, summarize, and present administrative and technical information and data in an effective manner. 9. Evaluate and develop improvements in operations, procedures, policies, or methods. 10. Plan, schedule, assign, and oversee activities of assigned personnel. 11. Inspect the work of others and maintain established quality control standards. 12. Train others in proper and safe work procedures. 13. Understand the organization and operation of the assigned division/department, the District, and of outside agencies as necessary to assume assigned responsibilities. 14. Prepare clear and effective statistical, narrative, informational, and educational reports, correspondence, policies, procedures, and other written material. 15. Make accurate arithmetic, financial, and statistical computations. 16. Plan, organize, administer, coordinate, review, evaluate, and personally participate in office management functions and administrative duties and responsibilities. 17. Assist in preparing and administering complex budgets. 18. Respond to and effectively prioritize multiple phone calls, walk-up traffic, and other requests/ interruptions. 19. Analyze and resolve office administrative and procedural concerns and make process improvement changes to streamline procedures. 20. Organize, maintain, and update office database and records systems. 21. Enter and retrieve data from a computer with sufficient speed and accuracy. 22. Organize and prioritize a variety of projects and multiple tasks in an effective and timely manner; organize own work, set priorities, and meet critical time deadlines. 23. Operate modern office equipment including computer equipment and specialized software applications programs. 24. Use English effectively to communicate in person, over the telephone, and in writing. 25. Understand scope of authority in making independent decisions. 26. Review situations accurately and determine appropriate course of action using judgment according to established policies and procedures. 27. Establish, maintain, and foster positive and effective working relationships with those contacted in the course of work. Equivalent to an Associates degree from a regionally accredited college or university with major coursework in business or public administration, public policy, or a related field, and five (5) full-time equivalent years of varied administrative support experience involving public contact; or two (2) full-time equivalent years of experience equivalent to Administrative Assistant at the District. Additional years of experience can be substituted for the required education on a year-for-year basis. Must possess mobility to work in a standard office setting and use standard office equipment, including a computer; to operate a motor vehicle and to visit various District and meeting sites; vision to read printed materials and a computer screen; and hearing and speech to communicate in person, before groups, and over the telephone. This is primarily a sedentary office classification although standing in and walking between work areas may be required. Finger dexterity is needed to access, enter, and retrieve data using a computer keyboard or calculator and to operate standard office equipment. Positions in this classification occasionally bend, stoop, kneel, reach, push, and pull drawers open and closed to retrieve and file information. Employees must possess the ability to lift, carry, push, and pull materials and objects weighing up to 20 pounds. Complete application packets will be accepted until the position is filled; however, those submitted by 11:59 p.m. (PST) on November 28, 2018, are assured consideration.